Subscribe PHP Classes channel on Livecoding.tv to watch next recording live. OK as usual we are going to start with the latest PHP revisions, PHP 5.6.26 and then also cover the latest PHP 7.0.11 in this case, and we also mention briefly some RFCs for PHP 7.1 that started coming out and actually there are a few and after this one but we'll just mention it because not everybody is ready to test PHP. So one of the interesting topics that are going to comment is the announcement from Dmitry Stogov, a Zend developer, that mentioned that is going to work on a JIT engine for PHP eventually to be released with PHP 8, so things are looking better for PHP and we'll talk about it in a moment. 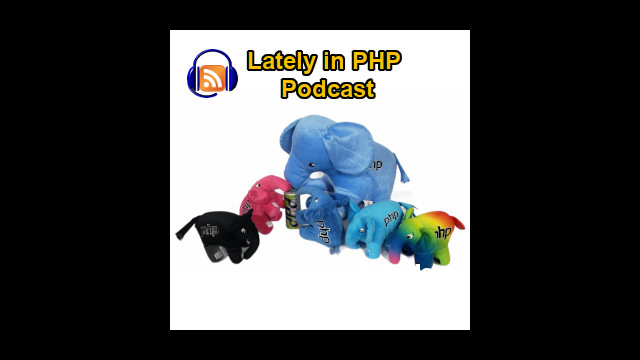 Then we are going to also talk about a proposal that solves a great headache of many developers that want to try new versions of PHP but at the same time they need to run older versions for other applications in the same web server. So there is a proposal here to solve that problem. Another topic that actually we mentioned before is the possibility to use some sort of caching in the PHP engine, so on different requests it can restart after the bootstrapping code, which could be loading the autoloader code or some framework bootstrapping that you may be using. So this essentially will make PHP applications to bit faster. Another topic is about the uniqid function that is not really so unique, so there are some proposed to improve the the uniqueness of that function return values. And after that there is a proposal to handle better the way PHP internally hashes the the array values to avoid one type of attack that was sort of fixed, well it was not fixed, it was just a workaround about PHP 5.3.9, or something like that. Then we actually move on to a RFC, actually it is not in RFC, it is just a proposal regarding strict comparisons of values in PHP 7 and we also comment about one bug that Johnny found out related to this topic. Finally we also discuss a proposal to have built-in requests and responses objects. Usually these objects are created by frameworks that wrap, I would say the handling of request values and the output of the current request but the idea is to have this built-in PHP, eventually 7.2 or PHP 8. Let's see what happens.